Concrete Delivery In East Brunswick, NJ. Quality concrete delivered a few yards of concrete for our Contracting Division to replace the slab under the stairs of this building. It was a quick and easy pour. The Contracting crew framed the area, performed the replacement and finishing of the concrete. Delivering Concrete To Replace Mailbox Concrete Slabs. No amount of concrete is to large or small for Quality Concrete to deliver. Sean, the Field Supervisor, delivered a yard of concrete to a location in East Brunswick for our contracting division. The contracting crew used the concrete to replace the slabs around a neighborhood mailbox. Working side by side, both divisions were able to successfully replace the old , broken concrete slabs. Quality Concrete made a small concrete delivery in East Brunswick, NJ for our Contracting Division. Contracting was replacing a curb. Jay, the Concrete Specialist, was in charge or making the delivery. He mixed the concrete right at the job site offering more flexibility and better quality. He successfully delivered 5 yards of 4500 PSI. The framing and finishing was performed by our Contracting crew. Hello, Our company is designing and will be erecting a steel structure for Rutgers University. We are looking to start pouring the footers for the steel structure within the next two weeks. The concrete is to be a min. of 3500 psi. We will have to do two separate pours. The first pour we would need to have 12 cubic yards and once that is cured we would have to do a second pour of 4 cubic yards. The address of the location on Google Maps is : Hort Farm No.1-Office Building East Brunswick, NJ 08816. The site is manageable for your trucks as well. Onduras News concrete mix for about 9 feet of sidewalk. I need the concrete for my basement addition. Around 11 cubic yards. Just pricing concrete by the yard in your area. We are bidding a job there. We are a certified concrete company able to help you with most concrete or cement services in your area. Please call us today to inquire more about our services and see how we can help you today! Quality Concrete is proud to use Mobile Mixer trucks from Zimmerman Industries. The trucks carry all the ingredients needed to make concrete at the job site. This offers more flexibility and better quality. The truck was parked right in front of the curb, and the concrete was poured straight out of the truck. Our Contracting division makes sure that all areas being poured are framed out and ready by the time Quality Concrete trucks arrive. A contractor in Middlesex County was replacing a walkway for one of his customers and needed concrete delivered to East Brunswick, NJ. He was looking for a local company to make the delivery at an affordable price. He was having trouble finding a concrete supplier that would deliver the 2 yards that he needed, so he went online looking for a company that would. He came across the Quality Concrete website and decided to contact them. When he called their office, the Concrete Coordinator informed him that making the delivery would not be a problem. She also collected all the information needed to make the delivery and got him on the calendar. Sean, the Field Superior, was in charge of making the delivery. Sean contacted the contractor before he left the concrete plant to introduce himself and inform him that he was on his way to the job site. When Sean arrived, he parked the truck in front of the property. The crew at the site was ready to start the pour, so fresh concrete was mixed for them right there and then. The walkway was in the back of the house, so the concrete was poured into wheel barrows so it could be transported to the walkway area. The concrete was taken out of the truck in a timely manner and the chute was washed out at the end to ensure quality at the next delivery. At the end of the pour, the contractor was able to remit payment directly to the Field Supervisor using a check. The job was successfully completed, and the contractor was very satisfied with the service provided by Quality Concrete. 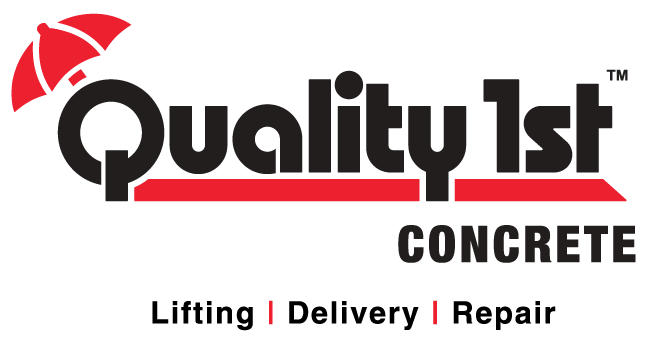 For many years contractors in the Middlesex and Monmouth County area have trusted Quality Concrete for their concrete delivery needs. A particular one in East Brunswick, NJ was pouring a sidewalk, and needed a few yards to be delivered. He had used Quality Concrete before, so he decided to contact them to schedule a pour. When he called their office, the Concrete coordinator collected all the information needed for the pour and got him on the calendar. Jay, Senior Concrete Specialist, was in charge of making the delivery. The contractor ordered 5 yards, so jay made sure to load his truck with the enough material to make that amount of concrete. When he was on his way to the job site, jay contacted the contractor to introduce himself and give him an estimated time of arrival. The contractor and his crew prepped the area, and made sure that it was ready for Jay to start pouring right away. Once at the job site, the truck was parked right in front of the sidewalk. Fresh concrete was made right there and then, and poured directly into the framed out area. As the concrete was being poured, the crew at the site floated and finished the concrete. The delivery was completed in a timely manner, and the contractor was very pleased with the service provided by the Quality Concrete team.